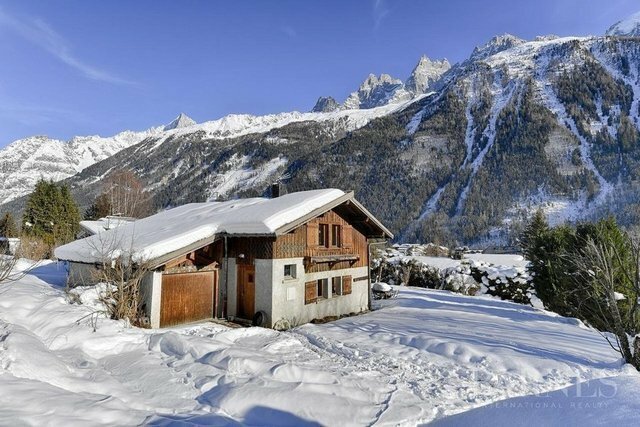 3-bedroom chalet situated in a quiet area close to the centre of Chamonix. Plenty of sunlight and stunning views of the Mont-Blanc range. Entrance, living space with dining area, lounge, fireplace and access to the terrace; independent kitchen, bathroom with toilets on the lower floor. Three bedrooms, additional sleeping area with bunk beds, shower room and toilets on the upper floor. Garage.